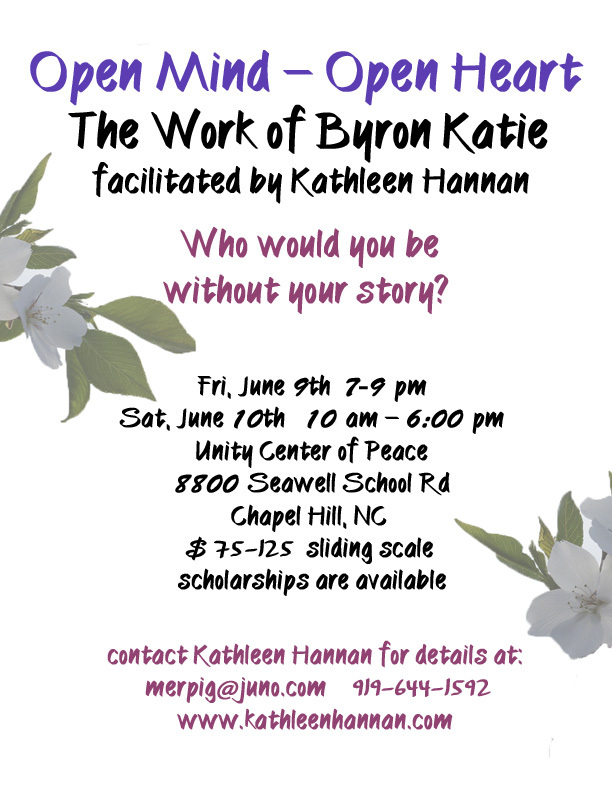 Call Kathleen at 919-644-1592 or write her with any questions! 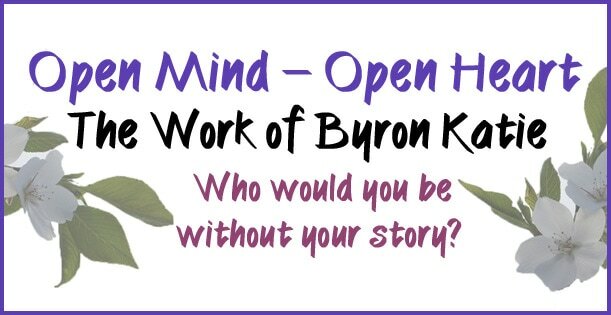 This workshop is open to beginners in the Work as well as to those of you with experience in using Byron Katie's 4 questions and turnarounds. 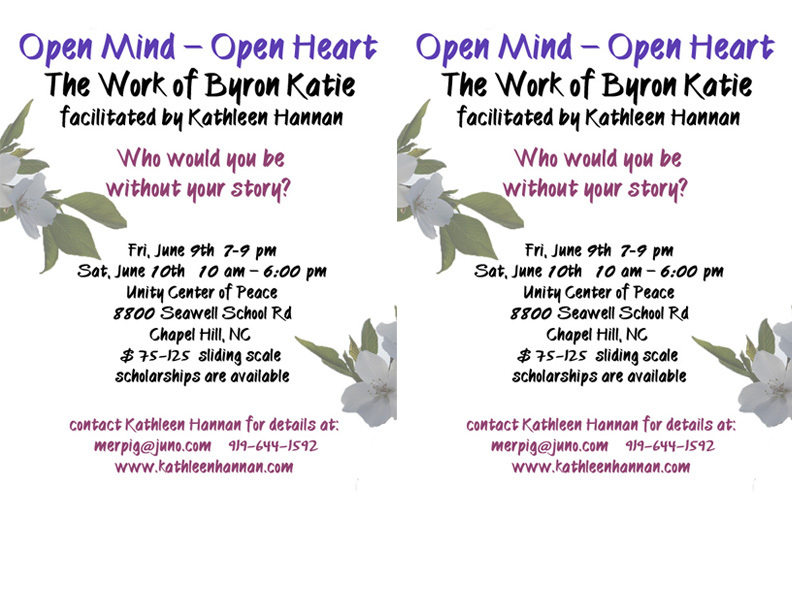 The Work has been transformative in my own life for many years and I love sharing it with others. Remarkably, as we do the Work inquiry on our stressful thoughts, the thoughts tend to drop away on their own. And actually, I sometimes wish the Work was called the Play. Because the more we get into it, the more humor and joy arises. Here are the questions which guide us into that joy by starting with the specific suffering we've been experiencing. 2. Can I absolutely know that it's true? 3. How do I react when I believe that thought? 4. Who would I be without the thought? or truer than your original thought. I'll demonstrate the Work inquiry doing it one-on-one with some of you. We'll also do the Work in it's simplest form in pairs and in "inquiry circles". ​And we'll do a lying down group inquiry/meditation as well, so please bring yoga mats, blankets, pillows, whatever you need to be comfortable. ​I'll provide snacks on Friday and Saturday, including nuts, fruit, water and juice. On Saturday we'll have an hour and a half break for lunch. You can bring your lunch or go out to eat. Unity is lovely, with picnic tables on the back porch, and woods to walk in. So I recommend bringing your lunch if you can. Please contact me if you're considering coming or if you have any questions. or read Katie's first book, Loving What Is. I appreciate any help you can give me in spreading the word about the workshop.